In my previous post on compliance measures the companies participating in public procurement should implement I described in which cases adoption of anti-corruption program is mandatory. In this post I am going to expand further and tell how the document in question should look like. “How many pages do you think a good anti-corruption program should consist of?” the lawyer of a small local company asked me at the latest conference dedicated to compliance topic. “At least 7 pages,” I responded jokingly. It’s not a surprise that some legal and compliance professionals approach legislative requirements to anti-corruption program in such a formal way. When you read section of anti-corruption law regulating compliance in private sector, it becomes obvious that the established requirements are not well thought of, to put it mildly. And one may face troubles trying to implement certain provisions of the law. For example, one of such requirements is to specify in the program an exhaustive list and description of anti-corruption measures, standards and procedures. Is it hard to understand what the practical purpose of such requirement is. The good thing for businesses is that now you don’t need to reflect in your program all the provisions listed in the law (there are more than 15 of them.) Latest amendment provides that the company may reflect in the anti-corruption program provisions referred in the law, while earlier it was mandatory. Therefore, in case company’s program reflects at least some of these provisions, it should be deemed in compliance with the law. Moreover, even if the document doesn’t contain any of such provisions – it still may pass the eligibility test. You may include, but may not include as well. As a consequence, it may be observed that the companies with developed compliance programs do not initiate their review in a response to adopted anti-corruption law. "It is not mandatory? Then there is no need to bother." The companies should also describe the process of the compliance officer appointment in the program – this is the direct requirement of the law. Some lawyers and compliance specialists wonder whether the content will be assessed for compliance with the legislative requirements by the procuring entities. Really, what are the chances that poorly written anti-corruption program will result in refusal of tender proposal? The answer is pretty straightforward: the program itself will not be assessed as procuring entities are not authorized to do so. And, as I mentioned above, there is not much to assess – you have quite a wide discretion here. 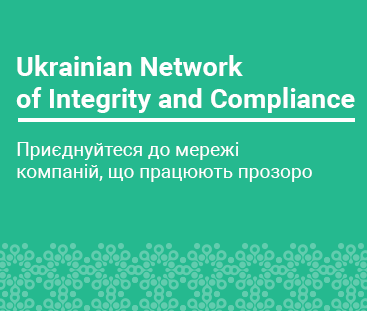 But in Ukrainian fast-changing legal environment the approach to this matter may be adjusted anytime so the companies better be ready to have the document meeting all requirements in place. Unfortunately, such formal approach has nothing to do with the effectiveness of the program. To sum up, the businesses have quite a wide leeway in deciding how the anti-corruption program should look like. You can approach this in a formal way just to gain access to public procurement, or you can create an effective instrument that may benefit the company in the long run – it’s up to the company to decide. In my next post I am going to outline requirements to compliance officers established by the anti-corruption laws. Please follow the link to read this post in Ukrainian.